Parinam Law Associates is to have around 48 associates after it starts on 1 December, with 7 partners, said Jain. Parinam would initially also include Jain’s team’s Subhash Jadhav, who does civil and criminal litigation, general dispute, matrimonial dispute, property and real estate, as well as partner Pooja Tidke, who specialises in disputes. JSA litigation and dispute resolution senior associate Paras Parekh will also be joining as a partner. 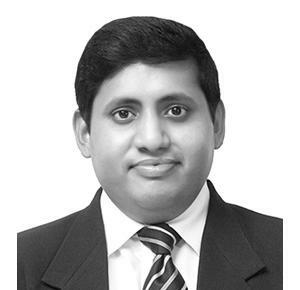 In Pune, Parinam has also absorbed SKJ Legal, which is 12 fee-earners strong, including two partners: corporate commercial lawyers Pankaj B Jain (ILS Pune graduate) and Sabyasachi Ghosh (a Delhi University graduate). As heads of department, Anuja Kedia will head real estate and Mallika Noorani will head corporate commercial and entertainment. Jain said that Parinam would also have a “research arm”, focusing on new legislation and policy making, as well as a “pro bono arm” that would work on litigations pro bono. Jain had decided to leave ALMT Legal after 12 years with the firm in January 2018, joining JurisCorp in April 2018, having also considered several other options at the time. He had joined ALMT in 2006 from Udwadia & Udeshi, where JurisCorp partner H Jayesh had also worked before setting up on his own, around the same time as Jain. JurisCorp has a total of 7 partners and 46 fee-earners. Jain’s team is understood to have operated separately from the main partnership. What about Aashni Dalal who joined Hegde? Also does one really think that Jayesh and Hitesh would be able to work comprehensively? Lets get real. Hitesh is fortunate that he is leaving at least his profits/revenue will not fall into the accounts of JCs underperforming partners who claim to have high [...] values. What kind of weird name is parinam - it signifies a bad ending. Parinam doesnt sound catchy and doesn't evoke interest. Maybe they should have just used Pranaam. I wonder what would be their motto or tag line - We deliver solid outcomes(read: Parinam).